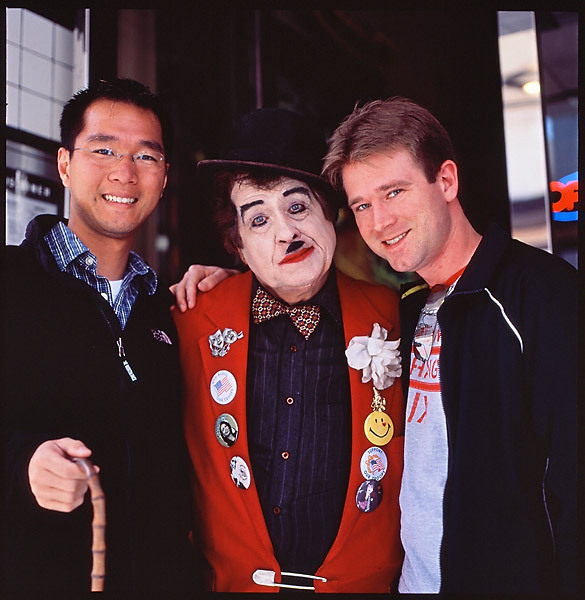 Charlie and friends: My friends pose with San Francisco's own Charlie Chaplin in front of Lori's Diner in Union Square. Snapped on: May 16, 2005. Hasselblad 500C/M, Planar 80/2.8 EV11 ISO100, Fuji RVP100F (Velvia 100F) film, developed by NewLab SF via Keeble & Shuchat, Palo Alto.